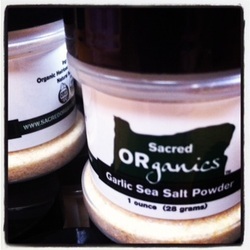 Sacred Organics is a family farm located in the Willamette Valley of Oregon. We are certified organic by Oregon Tilth, and have been for over 10 years. We grow an assortment of vegetables, specializing in gourmet garlic and shallots.